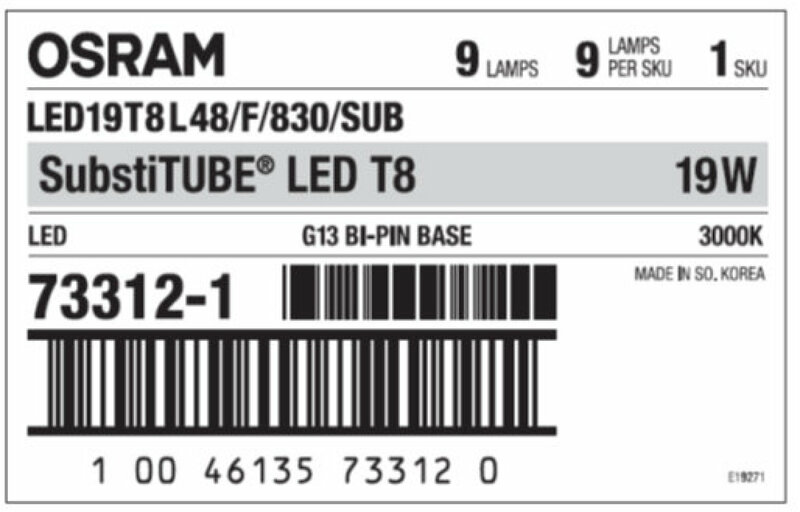 A voluntary recall has been announced by OSRAM SYLVANIA for certain SubstiTUBE® IS T8 LED lamps (Model Numbers 73312-1 and 73315-1 only). These lamps may overheat and melt, causing a potential burn hazard. Please stop using this product immediately. No other SubstiTUBE IS products are affected by this recall. The model number will appear on both the lamp label and the carton label. If you have the affected SubstiTUBE® IS T8 LED Lamps (Model numbers 73312-1 & 73315-1 only), you should contact OSRAM SYLVANIA for a free replacement. Do not return this product to the electrical distributor. For more information please call OSRAM SYLVANIA toll-free at 1-877-423-3772 from 8AM to 6PM ET Monday through Friday or email ProductQuality@sylvania.com. At OSRAM SYLVANIA, your safety is important to us. We apologize for any inconvenience this may cause. Where can I find the Model Number Information? What is the problem that OSRAM SYLVANIA has identified? 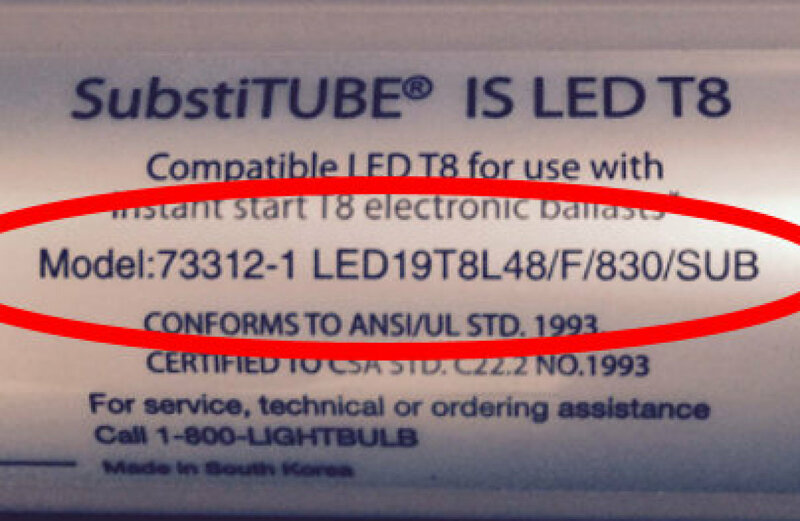 A manufacturing defect due to a missing component on the electrical connection between two internal printed circuit boards (PCB) on SubstiTUBE® IS T8 LED lamps (Model Numbers 73312-1 and 73315-1 only) may cause the lamp to overheat and melt. How many lamps are affected? Approximately 55,000 lamps are affected. Where/when were the lamps sold? Electrical distributors in USA and Canada since December 2014 to May 2015. What is being done to resolve the problem? 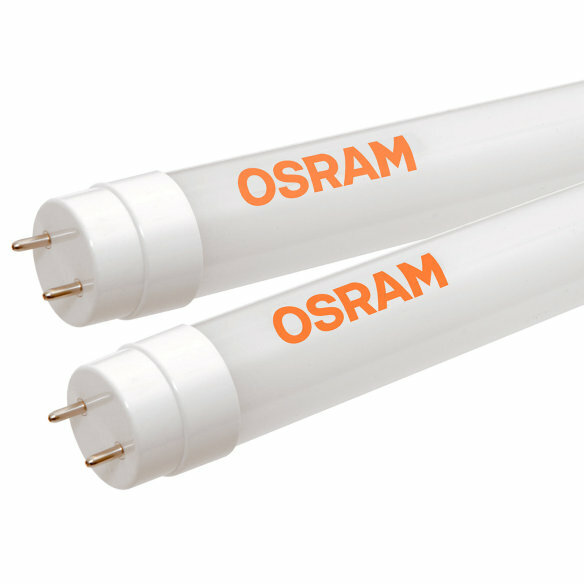 OSRAM SYLVANIA is offering a full replacement to customers including cost of shipping on the affected lamps (Model Numbers 73312-1 and 73315-1 only). Who do I contact if I think I have an affected SubstiTUBE® IS Lamps? Contact OSRAM SYLVANA Customer Service at 1-877-423-3772 from 8am to 6pm ET Monday through Friday, or email ProductQuality@sylvania.com for free replacement lamps. What is OSRAM SYLVANIA's advice to owners of an OSRAM SYLVANIA SubstiTUBE® IS Lamp? Our advice to owners is to check whether their SubstiTUBE® IS Lamp(s) is affected by this voluntary recall. If the Lamp(s) is part of those affected, owners should immediately stop using the affected Lamp(s). Disconnect or switch off the fixture, remove the SubstiTUBE® Lamp(s), and hold them in a safe place. You will receive further instructions by contacting OSRAM SYLVANIA Customer Service at 1-877-423-3772 from 8am to 6pm ET Monday through Friday, or emailing ProductQuality@sylvania.com. 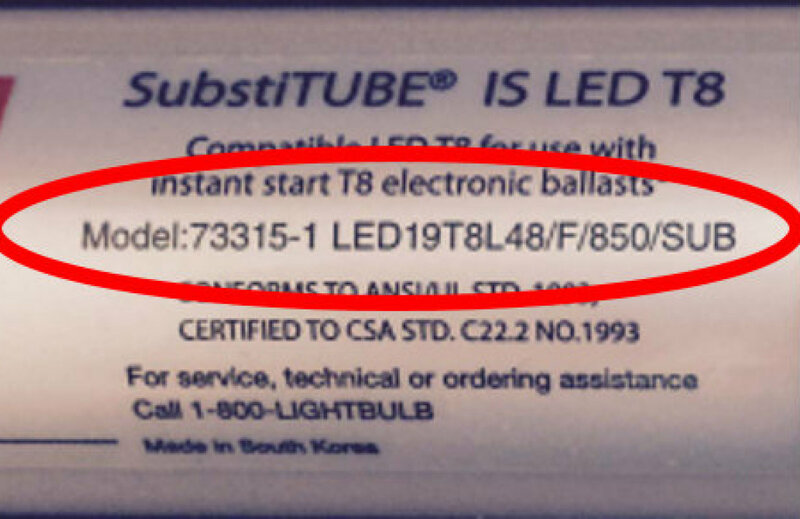 Can I continue to use SubstiTUBE® IS lamps that are not being recalled? Only model numbers 73312-1 and 73315-1 are affected. You can continue to use other SubstiTUBE® IS lamps. Are Lamp products 73312-0, 73312-2, or 73315-0 affected? Model numbers 73312-0, 73312-2, and 73315-0 are not affected and you can continue using these lamps. Only model numbers 73312-1 and 73315-1 are affected. How do I know if my lamp is one that is affected? Review the product model number on the lamp etch or product box. Only model numbers 73312-1 and 73315-1 are affected. Where can I find the product number information on the packaging or the lamp to verify? The model number can be found on the lamp etch or carton label. Have you reported the problem to the Consumer Product Safety Commission? OSRAM SYLVANIA has reported the issue to the Consumer Product Safety Commission. OSRAM SYLVANIA is working jointly with this agency to provide information to owners. Will OSRAM SYLVANIA customers who purchased affected lamps be notified? Yes, OSRAM SYLVANIA is working in cooperation with the U.S. Consumer Product Safety Commission in order to notify all customers on who might have affected lamps. In addition, OSRAM SYLVANIA directly contacted all electrical distributors in USA and Canada who purchased affected lamps.